2006 West Tennessee Diamond Jaxx - Fresh Fitted Friday!!!! If this is your first visit to the blog, I welcome you! And if you're a regular reader, thanks for coming back despite my neglect of minor league caps for the past three consecutive weeks, which might be some kind of record; I'm not sure. 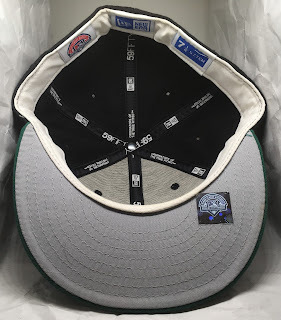 Either way, I hope this week's vintage West Tennessee Diamond Jaxx cap makes up for the recent lack of MILB love! 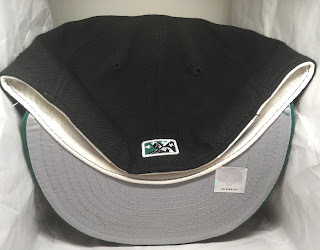 This is another cap that came from The Great eBay Haul that I've been writing about over the past few weeks. The Diamond Jaxx rebranding in 2002 was the first big client win for Brandiose, which back then was a just a fledgling design firm known as Plan B Branding. 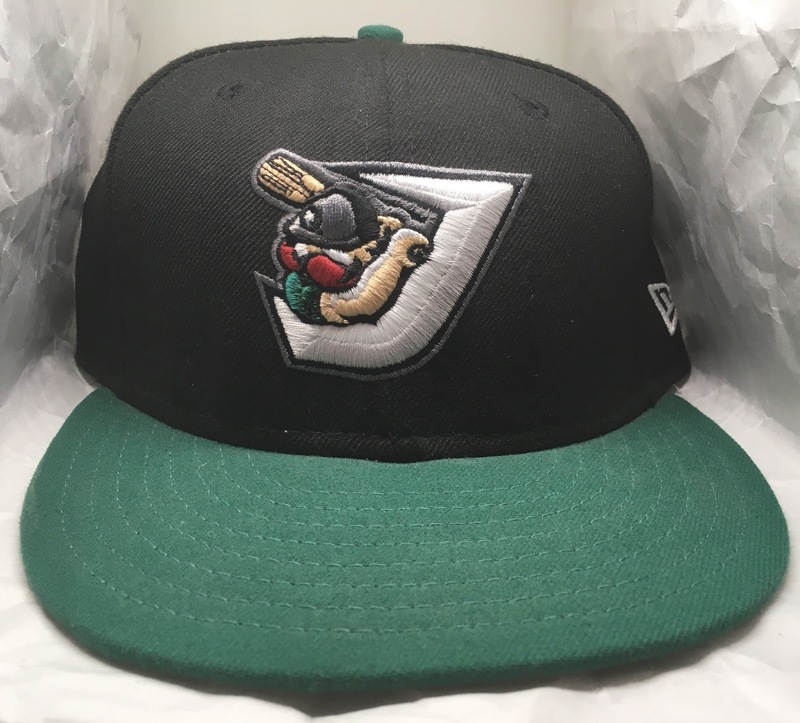 Plan B (now Brandiose) conceived "Jim Dandy" as the mascot for the Diamond Jaxx in 2002. According to Bloomberg Businessweek, "Dandy" is "a Disneyfied version of a miner wielding a baseball bat modified into a pickax"
While every MLB team began wearing New Era's polyester caps with black sweatbands and underbrims in 2007, their minor league counterparts didn't all transition in unison which makes it a little more difficult to assign a specific year to this cap. 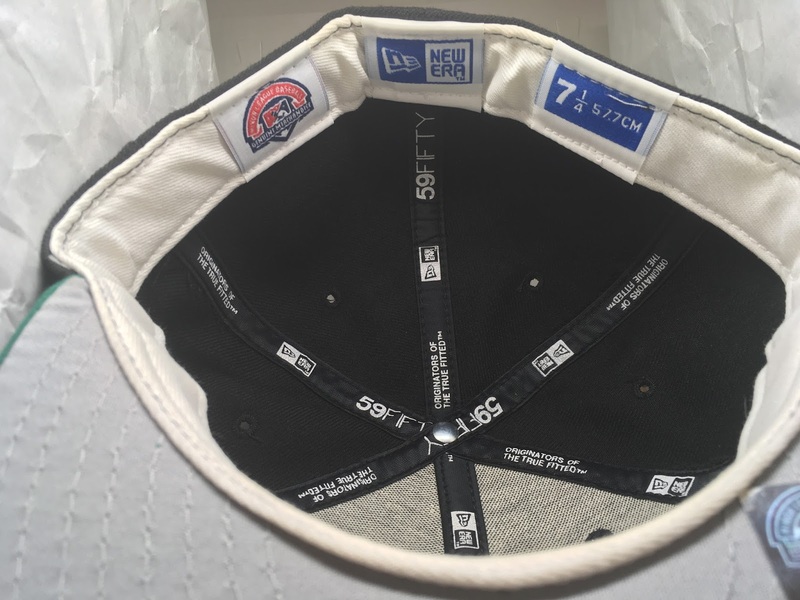 The "Blue Box" sweatband tags and the "Originators of the True Fitted" text on the crown's satin taping first appeared on MLB caps in 2005 but as I've seen images of MILB players in 2008 wearing caps with grey underbrims, this one could potentially be from the latter. One thing I wanted to note was that of the Generals principal owners, David Freeman, is also a member of Predator Holdings, LLC which owns the Nashville Predators. The Predators are currently in the midst of fighting for their first ever Stanley Cup trophy but there's been plenty of off-ice skirmishing amongst the team's owners in court. Also, I recently read an article from Lookout Landing about the history of the Diamond Jaxx (who by the way are now known as the Jackson Generals) in which I learned that the franchise's ownership, to put it mildly, has also faced its share of struggles over the years. I've mentioned this already but if there has been a cap featured in The Great eBay Haul that you've got to own and you have an interesting-ish and fresh-ish fitted cap sized 7 3/8 to 7 5/8 to trade, please reach out with an offer. And if it's not a fitted, snapbacks work too!